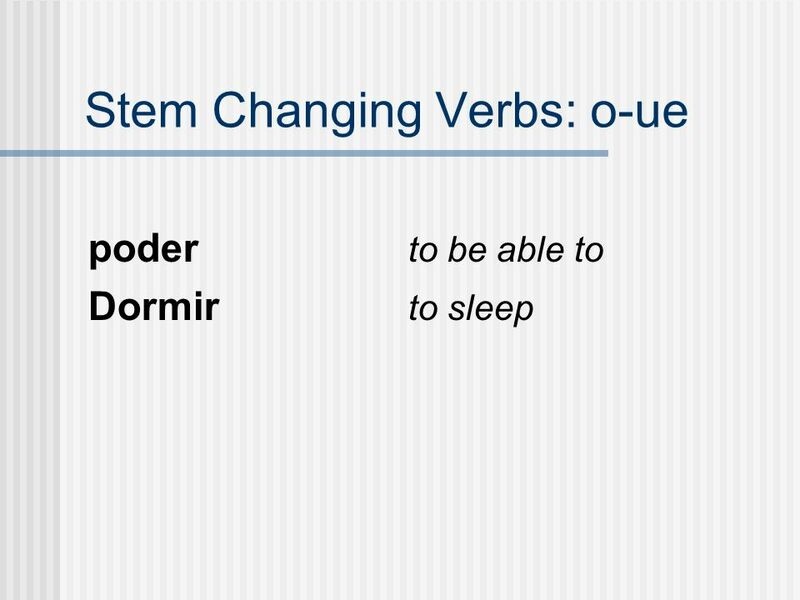 4 Stem Changing Verbs: o-ue poder (o:ue) 1. Ustedes ___. 2.Tú ___. 3. Nosotras ___. 4. Mi hermano ___. 5. Yo ___. 6. Usted ___. 7. Los chicos ___. 8. Ella ___. 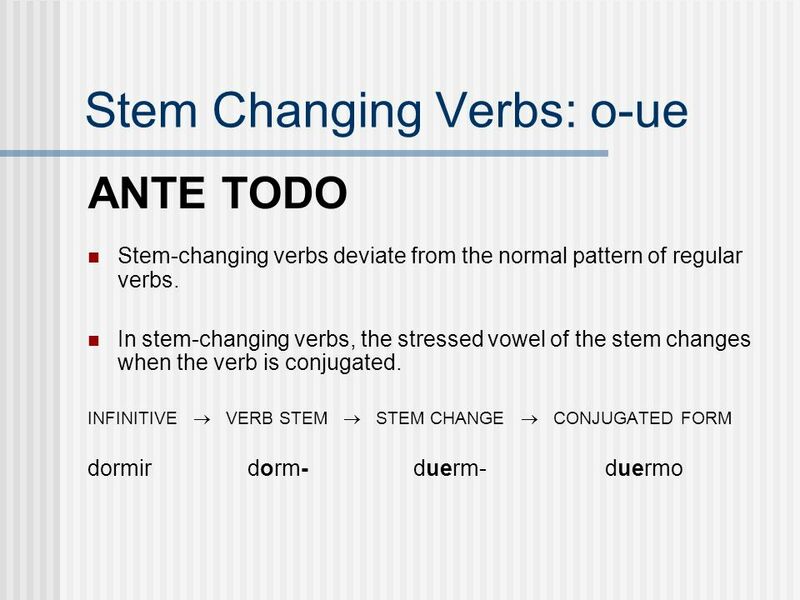 Descargar ppt "Stem Changing Verbs: o-ue ANTE TODO Stem-changing verbs deviate from the normal pattern of regular verbs. In stem-changing verbs, the stressed vowel of." ANTE TODO In Lección 6, you learned how to form the preterite tense of regular –ar, –er, and –ir verbs. The chart following on the following slide contains. 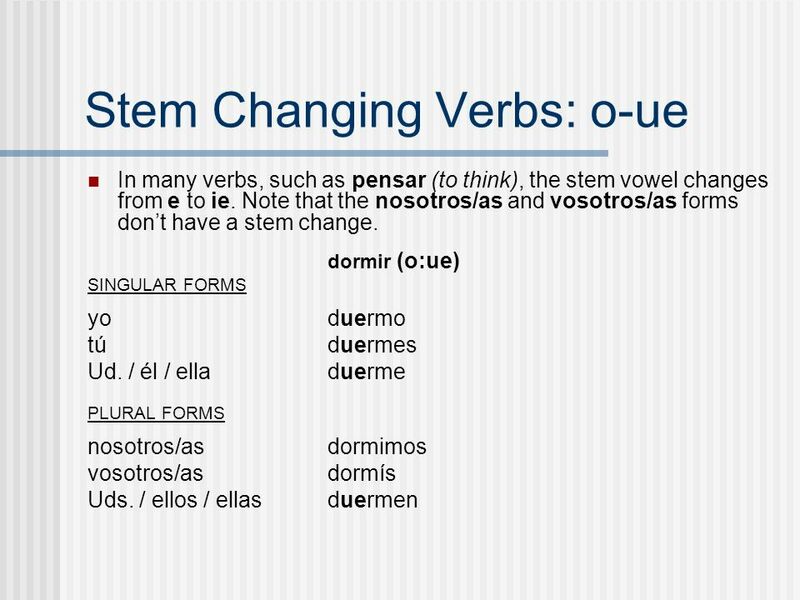 Stem-Changing Verbs 8The stem of a verb is the part of the infinitive that is left after you drop the endings -ar, -er, or -ir. 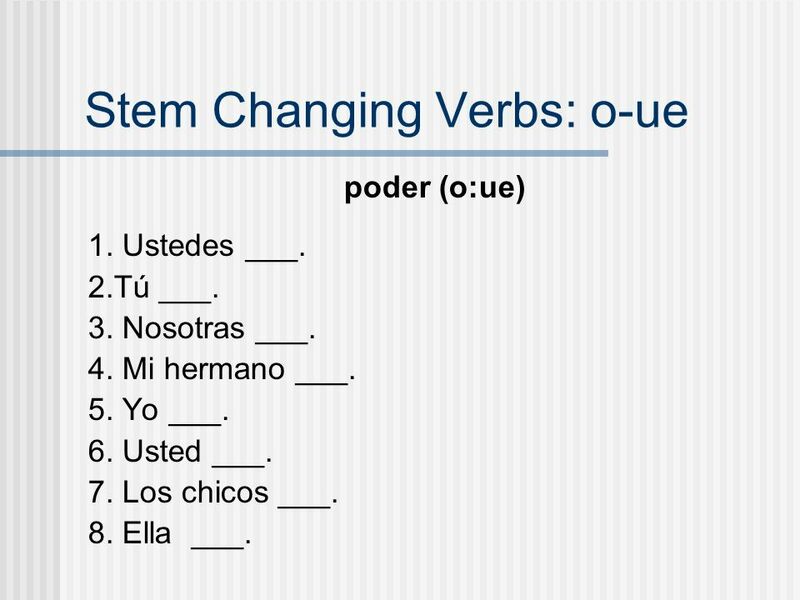 Stem Changing Verbs index e ie Explanation of Stem-Changing Verbs Practice with e ie Stem Changing Verbs o ue Explanation of Stem-Changing Verbs Practice. Español I 4B 1. Is it a regular verb, a stem changing verb, or an irregular verb? It’s a stem changing verb!